Easter closure : Wednesday morning Mindful Meditation at O’Halloran Hill resumes Wednesday 8th May 10.15am. Tuesday evenings at Aberfoyle Park just miss 23rd April – we’re back on 30th April 7.45pm. Re-balance Mind, Body and Soul as you’re gently guided on a meditation journey. Enter a state of deep peace and calmness. No prior experience needed – all are welcome. Learn mindfulness techniques to reduce stress and improve health and well-being in a warm and welcoming space. Meditation is a state of thoughtful awareness, and being mindful simply means being conscious and present in the here and NOW moment. Each week we’ll explore different relaxing guided journeys which will help you build a deep connection with places of resonance that you can visit yourself at any time. Greatly supportive for anyone who suffers anxiety, high stress levels, insomnia and more. • Improved memory and concentration. • Reduced stress and anxiety. • It encourages a healthy lifestyle. • The practice benefits cardiovascular, immune and digestive health. People have been meditating in different cultures throughout the world for thousands of years. These days meditation is not just for the spiritual. There’s growing evidence it can be a potent tool to enhance your health and well-being, and meditation techniques have been incorporated into a range of counselling and psychotherapy approaches. Elizabeth has been facilitating Mindful Meditation classes since 2012. 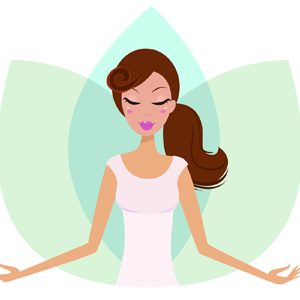 Sessions include body relaxation techniques and simple breathing exercises before you are gently guided on a meditation journey. Crystals are available and most sessions involve colour visualisations and chakra balance. Exchange : $15 pay as you go. $60 for a 5-session discount card – attend at your own pace. Concession card holders $12 pay as you go. **Easter closure** Wednesday morning Mindful Meditation at O’Halloran Hill resumes Wednesday 8th May 10.15am. Tuesday evenings at Aberfoyle Park just miss 23rd April – we’re back on 30th April 7.45pm. Cancellation of a session will only be under unforeseen emergency circumstances or illness – a notification will be posted on the Lotus Star : Embrace Life Facebook page and regular attendees will be contacted. Please bring along a bottle of water and pillow/yoga mat/blanket – anything to make yourself comfortable lying down. Loose, comfortable clothing advisable. There are chairs available if you’d prefer to sit. Bookings are essential : to Elizabeth on 0474 197707 or via the online enquiry form – A discounted block booking card can be purchased online via the link below. Meditation is a state of thoughtful awareness : whatever you do with awareness is meditation. Watching your breath is meditation; sitting in nature and listening to the birds is meditation; creating art is meditation. As long as these activities are free from any other distraction to the mind, it is an effective form of meditating. Being mindful simply means being fully conscious and fully present in the NOW moment. The word meditation, is derived from two Latin words : meditari (to think, to dwell upon, to exercise the mind) and mederi (to heal). Its Sanskrit derivation ‘medha’ means wisdom. People have been meditating in different cultures throughout the world for thousands of years, usually as a way of finding inner peace and for strengthening spiritual and/or religious connection. These days meditation is not just for the spiritual. There’s growing evidence it can be a potent tool to enhance your health and well-being and meditation techniques have been incorporated into a range of counselling and psychotherapy approaches. During an experience of meditation we are calm, aware, focused, happy and loving. We let go of the burden of ourselves and enter into a wider state of consciousness. Having achieved this wonderful state, we can then learn to transfer these same attitudes to all our interactions and to maintain them in everyday situations, regardless of what is happening around us. It is possible, through the regular practice of meditation, to transform the quality of our lives totally, living each moment untroubled by negativity and the stress that inevitably builds up. Evidence now suggests meditation has many long-term health benefits. Meditation produces a clearing of the mind in ways that promote a sense of calm and heightened awareness and offers many health benefits, including relaxation – leading to reduced stress and anxiety. It can also help improve mental performance and improve concentration. A fantastic article on the science behind the positive affects of meditating on your brain : This Is Your Brain on Meditation – The science explaining why you should meditate every day by Rebecca Gladding M.D. Evidence suggests that it takes just 66 days to form a new habit ( see my 66-day challenge blog articles ) which is why I encourage a commitment to regular meditation. When we commit to a meditation practice it not only alters the chemistry of our own thoughts and feelings but it can positively affect those around us. The energy of meditation builds within us as we practice and the happier and more peaceful we become, the more positive our life becomes. Through meditating regularly you will deepen your connection and ability to go within with increasing ease. Know inner peace.